Shakespeare is rightly called the world's greatest playwright for the soaring beauty of his language, for his profound insight into human nature, for the truths he dramatized and for the realism of the characters he created. He was, and remains, a superb entertainer. Featuring some of Britain's most distinguished theatrical talent, these programs are an ideal choice for libraries, literature classes, and for continuing personal enjoyment. Ambrose Video is to proud to be the exclusive distributor of Shakespeare's plays which are so richly rewarding to our viewers. We have taken as much care as possible to restore the masters (which are over 20 years old) for the best viewing experience possible. Plays purchased are viewable both in their entirety and by act. Here Shakespeare uses one of his favorite devices--trickery. The young countess resorts to chicanery to win her husband's respect. This is a William Shakespeare Comedy with the characters Helena, Bertram. The star, Jane Lapotaire, not only looks similar to the historical Queen of Egypt, but has the range to capture her many facets. This is a William Shakespeare tragedy with the characters Octavian and Leidus and taking place in Rome and Egypt. Is there a "natural difference" between a duke's daughter and a commoner? Are men really stronger than women? Or is it just society's role? Stars Helen Mirren and Richard Pasco. This is a William Shakespeare Comedy with the characters Frederick, Rosalind, Orlando and, Celia and starring Helen Mirren. Roger Daltrey, lead singer of the band "The Who," stars in Shakespeare's shortest play. This is a William Shakespeare Comedy with characters Egeon, Antipholus, Dromio and Emilia. In his last tragedy, Shakespeare studies the character of a soldier. Stars Alan Howard. This is a William Shakespeare tragedy with the characters Caius Martinus, Menenius and Volumnia. In this richly costumed production, the greatest tragedy ever written maintains all the tension of a murder mystery. Derek Jacobi is a superb choice as Hamlet. This is a William Shakespeare tragedy with the characters Claudius, Gertrude and Ophelia, Patrick Stewart and Claire Bloom. The boisterous Falstaff leads Prince Hal, the heir to the throne, through London's lowlife taverns. Starring Jon Finch, Anthony Quayle. This is a William Shakespeare history with the characters Duke of Gloucester and Cardinal Beaufort. The death of Henry IV, banishment of Falstaff and coronation of Hal as Henry V. Stars Jon Finch, Anthony Quayle, David Gwillim. This is a William Shakespeare history with the characters Prince Hal and Falstaff. England's most admired national hero, Henry V unites his people, invades France, deals with traitors and cements the peace. This is a William Shakespeare history with the characters Duke of Gloster, Lord Scroop, Katherine and Quickly. First of a trilogy, recreating King Henry's early days. Starring Peter Benson, Trevor Peacock. This is a William Shakespeare history with the characters Talbot and Richard. Henry marries Lady Margaret, but she despises his meekness and takes Suffolk as a lover. This is a William Shakespeare history with the characters Margaret of Anjou and Richard. York wins the War of Roses and forces Henry to give him succession. This is a William Shakespeare history with the characters Richard, Margaret of Anjou, Edward and Lord Clifford. Filmed at Henry's favorite place, Leeds Castle, enacted in the very rooms the King inhabited, 500 years ago. Stars Claire Bloom, John Stride. This is a William Shakespeare history with the characters Cardinal Wosley and Queen Katharine. Breaking dramatic conventions, Shakespeare creates neither a clearcut hero nor a villain. Starring Charles Gray as Caesar. This is a William Shakespeare tragedy with the characters Octavius, Marcus Antonius, Cicero and Brutus. Here Shakespeare rewrote another's work, the only time he uses such a source instead of the chronicles themselves. Stars Claire Bloom. This is a William Shakespeare history with the character King Phillip. Crisply paced, with an exemplary cast. Starring Michael Hodern, Anton Lesser. This is a William Shakespeare tragedy with the characters Cordelia, Edgar and Regan. A splendid satire -- some of Shakespeare's best early poetry. This is a William Shakespeare Comedy with the characters Ferdinand, Berowne, Longaville and Dumaine. This savage tragedy is one of Shakespeare's most enduringly popular. Starring Nicol Williamson and Jane Lapotaire. This is a William Shakespeare tragedy with the characters Banquo and Macduff. The trickiest sort of play -- a comedy with tragic relief. The New York Times says "Kate Nelligan is the image idealized faultlessness." This is a William Shakespeare Comedy with the characters Angelo, Claudio, Isabella and Vincentio. This play presents contrasts in the character Shylock. Is he villian, buffoon or tragic hero? Starring Warren Mitchell, Gemma Jones. This is a William Shakespeare Comedy with the characters Bassanio, Portia, Nerissa and Gratiano. Queen Elizabeth herself is said to have requested the return of Falstaff. Here he tries to seduce two respectable wives. Stars Ben Kingsley. This is a William Shakespeare Comedy with the characters Falstaff, Ford and Page. An extraordinary production of an enduring comedy. The strong cast features Helen Mirren and Peter McEnery. This is a William Shakespeare Comedy with the characters Lysander, Hermia, Helena, Deuretrius. The sparring wit of the confirmed bachelor, Benedick, and the haughty lady Beatrice seems to delight audiences more every year. This is a William Shakespeare Comedy with the characters Benedick, Beatrice, Claudio, Hero and Don Pedro. Perhaps his greatest triumph as a stage play. Evil Iago plants doubt in Othello's mind about Desdemona, and audiences are spellbound. Stars Anthony Hopkins, Bob Hoskins as Iago. This is a William Shakespeare tragedy with the characters Iago and Desdemona. The Prince of Tyre, who flees upon discovering his King in an incestuous relationship. Starring Mike Gwilym and Amanda Redman. This is a William Shakespeare tragedy with the characters Antiochus, Marina and Thaisa. A stellar cast includes Derek Jacobi, Sir John Gielgud, and Dame Wendy Hiller. This is a William Shakespeare history with the characters Bolingbroke and Thomas Mowbray. A huge success in its day, this play portrays an intricate period in English history. This is a William Shakespeare history with the character Edward. A "hit" for over 400 years. It expresses love in its infinite variety more than any other work in the English language. Stars Sir John Gielgud. This is a William Shakespeare tragedy with the characters Tybalt, Mercutio, Capulet and Montague. John Cleese, of Monty Python, portrays Petruchio to unanimous acclaim: "an object lesson in serving Shakespeare to a present-day audience." This is a William Shakespeare Comedy with the characters Katharine, Petruchio and Bianca. A timeless stage on an enchanted island. An exiled Duke and two lovers encounter the occult. This is a William Shakespeare Comedy with the characters Prospero, Miranda, Antonio and Ariel. Choice says "recommended version of a difficult yet interesting play." His most cynical work. This is a William Shakespeare tragedy with the characters Apemantgus, Lucilius and Flavius. This tragedy draws on brutal Roman mythology. Stars Eileen Atkins, Trevor Peacock. This is a William Shakespeare tragedy with the characters Tamora, Aaron, Saturninus and Lucius. Says Choice, "This video is simply excellent, valuable to anyone teaching the play." Stars Anton Lesser, Suzanne Burden. This is a William Shakespeare tragedy with the characters Hector, Achilles and Helen of Troy. This is the most subtle of Shakespeare's comedies. Starring Alec McCowen, Trevor Peacock. This is a William Shakespeare Comedy with the characters Viola, Sebastian, Dulce Orsino and Olivia. Shakespeare's earliest attempt at romantic comedy, two friends fall in love with Silvia. This is a William Shakespeare Comedy with the characters Valentine, Proteus, Silvia and Julia. A theme that occupied Shakespeare later in life: reconciliation. Wrongs committed by one generation are made right by the next. This is a William Shakespeare Comedy with the characters Leontes, Hermione, Perdita and Polixenes. 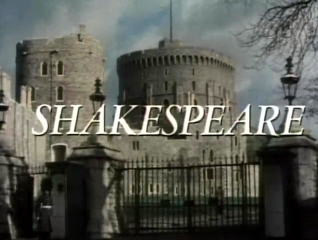 This 12 part series presents skillful, short adaptations of the Bard's best loved plays. "In this two part series, Francesco da Mosto travels to Verona, Venice and Rome, revealing the beautiful locations, myths and Italian stories that inspired some of Shakespeare's most well-known plays."